The player guide will help any player transition into the league. It contains the most important rules that every player is required to know. The rules included have been deemed the most common and are essential to playing in any of the Border City Ball Hockey leagues. If you have any questions, please do not hesitate to ask your team captain or one of the BCBH Board Members. The rules and regulations are an in-depth guide to expectations in the league. These rules have been created by the BCBH Board Members throughout countless seasons. They are expected to be followed to ensure the highest level of protection for our players, their teams, and the league itself. As a player you are not expected to remember every specific detail, however, referees will be. Again, if you have any questions regarding these rules, please ask your team captain or one of the BCBH Board Members. The league attempts to revise these rules and regulations every season. 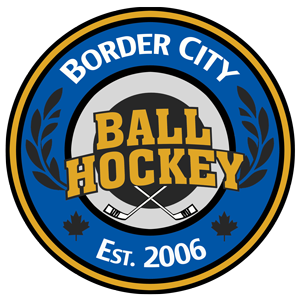 As a member of the Border City Ball Hockey league(s) you are expected to sign and provide the supplied waiver. This waiver ensures other players in the league are protected against harmful situations.